For nearly two decades, Aaron "DJ A-L" Ladley has worked towards earning himself the right to be regarded as a highly talented, respected and recommended DJ and Producer in the Denver music scene and beyond. Some of A-L's highlights include being nominated as Denver's "Best DJ", producing the Hip Hop group, the Soul Pros, hosting the longest running Hip Hop mix show on the planet, the Eclipse Show as well as organizing and promoting multiple ongoing parties, including one of the most successful 90's parties in the country, SNAP! 90's Dance Party. Eric Lake aka Yo Huck brings his eclectic taste and aggressive mixing style to the SNAP crew to keep the crowd guessing what genre might be coming next. Beyond SNAP, you can find Huck playing funky house as part of his residency at STEAM Wednesdays at Bar Standard. Hi I’m Garth. I don’t like writing in 3rd person. I do like records. I have lots of ‘em. Like thousands and thousands. I like DJing. I’ve done it for 20 years. My current DJ crew SNAP! Denver DJs have been owning the dance floor since 2014. Do yourself a favor and check us out ASAP! DJ Gary Givant has been filling dance floors since he was a teenager in the disco era, and has continued to do so for 41 years. Knowledgeable in all genres of club music and able to play the classics, as well as today’s hits. DJ Love is what you might call a Crowd Motivator when he combines his 2 plus decades of experience with such a wide musical palette. His performances feed off the energy of the crowd and you should always expect the unexpected when he shows up to move the floor! 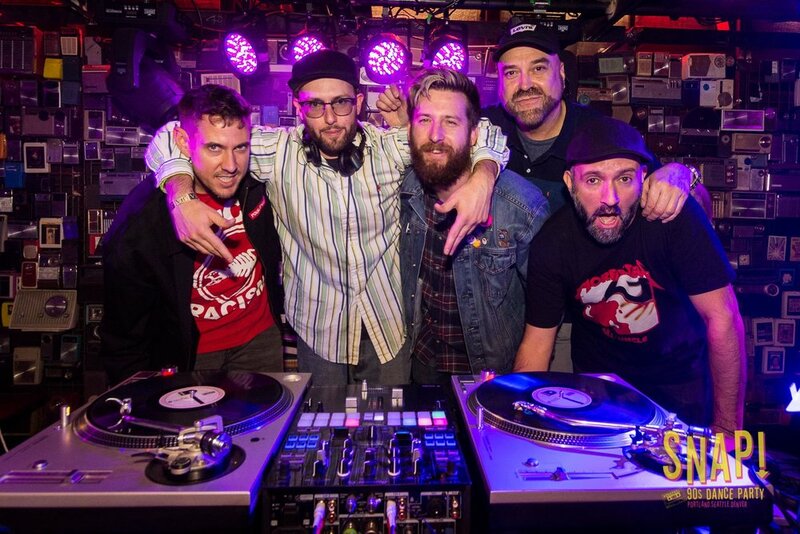 With over 100 years of combined DJ experience, the SNAP crew draws upon the different perspectives and experiences of each DJ to curate parties that have something for everyone.